She only comes out at midnight. When no one is watching and no one can see, how she feels and the woman she truly is to be. She doesn't need to perform or feel pressured by others around her. It's just her, the sound of her feet, the soft cool breeze, and the open air. She's not caged in or striving to be who someone else wants her to be. Her beauty is displayed for only the moon to see. She's not pushing to achieve for others, to have them say yes, you are enough in my eyes, although you can always be better. She's not comparing, for all she sees is the unique beauty of the sun and moon and stars and each differing tree. If only she could see that in people and not compare. She is free indeed. Her thoughts, her legs, her heart, her soul. For the first time, her true raw beauty is seen and whispered back to her. Her feet fly and her soul dances as her thoughts escape and her heart is filled. The overcast day no longer clouds her beauty, as the veil of night is revealed in the glowing moonlight. She is fully seen and fully loved. The world sees her partially and partially loves. He sees her (w)holy and (w)holy loves. Only through Him can she be (w)holy herself. All she hears is the pounding of her feet, the life of her lungs, and the whistling of the wind sweeping up her thoughts. It is only after this emptying that she can be filled. After the silence, it is then that she hears. I couldn't sleep. I have gotten off my normal sleep schedule, which I think has caused this sleepless night. So I thought I'd blog. I had some things I wanted to blog about too, but I'm not as passioned for them at this wee hour of the morning. More in a reflective mood, so we'll see where this goes. I'm a converted night owl to a morning rooster. Some days the rooster does better than others. There's something about being up at night while everyone else is asleep. Being up early in the morning just doesn't have the same affect on me. I'd rather stay up later and wake up a little later. I'm learning to do the opposite, as that can set my day all off kilter and make getting up a struggle. I love being out star gazing at night or just reflecting on my own. Some people are scared of being out at night, while I love it! I love running at night! 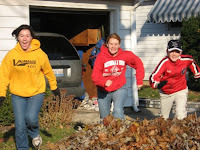 I used to go on midnight runs with my cross country team or sometimes with my sister or dad. In college, I used to go for walks or runs around campus at night alone, before cell phones had entered my world. I even had a guy friend who offered to walk a ways behind me and just basically ignore me, so I could have my reflective solitude and still be safe. I never took him up on it. Seemed to defeat the purpose. I still go for walks or runs at night when I have friends to check in with, although I realize it's not the brightest thing. I just love being out when the whole city is quiet and asleep. In the morning, the hub-bub begins as the city awakes and everyone starts their day. At night, it's so peaceful. From a biblical sense, people commonly think of light as good and darkness of evil. But the Lord created the day and the night. He created the sun to shine by day and the moon by night. And it was good. I think we'll have both light and darkness in heaven to display God's full beauty. The moon demonstrates light piercing through the darkness. There's something hopeful and radiant about it. About the hidden peaking through. Like rooting for the under dog. Even when I used to run, I did best finding my inner strength away from the crowds through a path in the woods, rather than running through the hype and noise of the spectators where other runners tended to excel. Words of perserverance and encouragement from teammates and family were clear in the stillness away from people. In the crowds, it was just an overwhelming wave of noise. I think similarly, I could feel God speaking to me in the stillness of the night, away from the rush hour traffic and hurriedness of the day. I wrote something about it 3 years ago now, when I was just out of school. Crazy it's been that long! I was struggling getting used to work life, which meant earlier mornings and consequently earlier nights. It seems like it should be a post all its own. So I'll put it as the next one! "There's a fish on the roof." "Ok, ok, cool, a fish on the roof." "A fish, a fish on the roof." (more animated). And he's not even one of mine, but a darling boy I've come to love from the neighboring apartments. And that my friends is a fish story. My old roomie (sadness) and friend Rachael recently posted about a simple praise: finding her Bible. 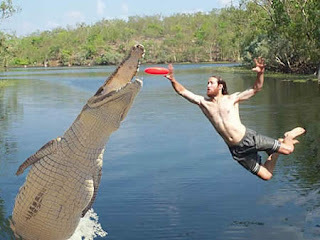 I can understand the frustration. I recently lost my journal. And by recently, I mean I have been searching for it for the last month. Actually, the last date written in it was Sept 20th. Ever since this Spring, I have been using my journal weekly if not daily. It has been used to plan out my week, make lists of things to accomplish and dreams to strive for, sort out my thoughts, to pray and pour out my heart, and just to monitor how I'm doing and how far I've come. I felt lost without it. Just like Rachael, I could start another journal...I have new ones that I could use, but it wasn't like my old, worn journal. It felt like I lost a piece of me, to some degree. It's like losing your diary as a kid. Except I didn't have a lock and key and a "do not read or else..." sign tatooed all over it. I mean, who knows who got ahold of it! Except in this case, my name wasn't on it. I looked in both work places and both homes with no luck. I was beginning to feel like it was gone for good and started a new journal. As a last ditch effort, I tried to think where else I could have left it. I realized there were 2 possible locations where I had not checked: 1) church 2) my Dr.'s office (where I had not been in a month). Today, I went to the Dr. and remembered to ask about it. Sure enough, it was there! So excited! Another HUGE praise, is that I just found out that my rather sizeable hospital medical bills from this spring were paid in full through financial assistance in association with my hospital!! I was hoping for a little bit of help, but in no way expected it it to be paid 100%! What a blessing. God is good!! Not sure if I'm more excited about the journal or the hospital bills! JK :) Both are a blessing. Just a reminder to me of how great of a provider He is in knowing our needs both big and small. YAY God! I have been wanting to write a blog for awhile on first impressions. This fits along similar lines. My mom sent this to me. Read below. Do you take a moment to stop and really see what is around you? Washington , DC Metro Station on a cold January morning in 2007 The man with a violin played six Bach pieces for about 45 minutes. During that time approx. 2 thousand people went through the station, most of them on their way to work. After 3 minutes a middle aged man noticed there was a musician playing. He slowed his pace and stopped for a few seconds and then hurried to meet his schedule. The violinist received his first dollar: a woman threw the money in the hat and, without stopping, continued to walk. A young man leaned against the wall to listen to him, then looked at his watch and started to walk again. A 3-year old boy stopped but his mother tugged him along hurriedly. The kid stopped to look at the violinist again, but the mother pushed hard and the child continued to walk, turning his head all the time. This action was repeated by several other children. Every parent, without exception, forced their children to move on quickly. The musician played continuously. Only 6 people stopped and listened for a short while. About 20 gave money, but continued to walk at their normal pace. The man collected a total of $32. He finished playing and silence took over. No one noticed. No one applauded, nor was there any recognition. No one knew this, but the violinist was Joshua Bell, one of the greatest musicians in the world. He played one of the most intricate pieces ever written, with a violin worth $3.5 million dollars. Two days before Joshua Bell sold out a theater in Boston where the seats averaged $100. This is a true story. 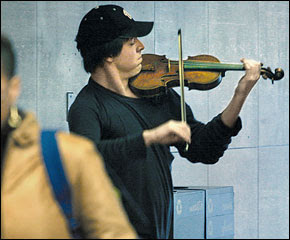 Joshua Bell playing incognito in the Metro Station was organized by the Washington Post as part of a social experiment about perception, taste, and people's priorities. The questions raised: "In a common place environment, at an inappropriate hour, do we perceive beauty? Do we stop to appreciate it? Do we recognize talent in an unexpected context?" One possible conclusion reached from this experiment could be this: If we do not have a moment to stop and listen to one of the best musicians in the world, playing some of the finest music ever written, with one of the most beautiful instruments ever made.... How many other things are we missing? My roommate Amber just wrote a post about fall and asked "What reminds you of fall?" She has inspired this post. I'll try to stick to 13, just the same as Amber. 11. Bronchitus (I'm hoping to break that tradition this year). I was on my way to work this morning when I saw a young man dressed in a black suit, cruising along on his motorcycle. Immediately, I imagined him off to his bride on his wedding day. Considering it was Thursday in the afternoon, I'm going to guess that's not where he was headed. But it was fun to imagine his story. Running late for his wedding, heading to the church to be married for the 1st time with his lovely bride. Perhaps there's a romantic in me after all. SO, after traveling this weekend to D.C. and back for my cousin Hol's wedding, I decided that life should have moving walkways. Wouldn't that be great? If you were in a hurry, you could just jump on and double time it, makin it there in no time, even with all of your baggage. When you're on it, moving forward seems so effortless and you're passing everyone around you. You feel so light and weightless. If you felt particularly burdened by life, you could just jump on the moving walkway, let your things down, and coast for a bit. The most "annoying" thing would be if people in front of you are obstructing the way by standing. Many times you can slip right by them, but if you are forced to stand still because of them, you're still moving forward! You may get a little tripped up when you first get on and switch speeds. But before you know it, you're moving right along with the faster speed of life. You're keeping up and you're thriving. And when the fast pace walkway would end, there would be a voice saying "the moving walkway is ending" to prepare you for the slower pace of life coming up ahead. How great would that be? There's nothing like a good cuppa, as New Zealanders would say. 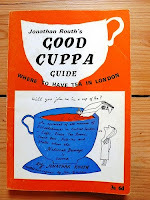 I just had a lovely cuppa, which warmed me up after the weather dipped rather cold tonight. It was a nice way to wind down at the end of the day. It's been awhile since it's been cold out, that I forgot how much I love it. Warm in my hoodie, cozy under a fleece blanket, sipping my chamomile tea, journaling, relaxing, peace. Ready for sleep. I've been writing this blog for awhile now in my head. At this time in my life, there are many unknowns, as I am in a mode of transition. Friendships, my job, my living situation, my life goals and direction, my interests are all changing and coming to life. One of the biggest life changes is that this coming year, I am taking (at the very least) 1 year off from teaching. And I am so very excited about it!! I have always said that I was interested in teaching and missions. Throughout college and H.S. I have said this with the strong driving force being a love for children and wanting to help others. I never really knew what the missions piece would look like. Originally, I thought teaching oversees would be splendid, but instead the Lord led me back to my hometown of Wheaton and the Chicagoland area. I have been blessed in a number of ways through support of being so close to my parents' home and having wonderful new friendships that feel like home. The last three years have been some of the toughest and best times of my life. In many ways, it has been draining, frustrating, discouraging, and hard to understand, as I struggled with health issues and the stress of a beginning teacher. In other ways, I have been truly blessed by some of the closest friendships I have ever had, by growing closer to my family, and growing closer to God. And I have found hope again. I began writing this July 17th. And many unknowns have been answered. Below I've listed some knowns. Some of them for this year. Some of them are hopes and dreams I've had on my heart for awhile now. Some are very lofty. But that's why they are hopes and dreams. Lord, take them, use them, guide me, show me, provide. ~God has a plan for me (and for you). To prosper me and not to harm me. He knows the desires of my heart. He will never leave me nor forsake me. Nothing can separate me from Him. He keeps His promises and will provide. His Word, the Bible, is truth. It describes His character and is our guide to a life of hope with Him. He hates injustice. He does not want me to walk through this world alone. Only He can satisfy me. He loves me, truly, wholly, and unconditionally. ~I need a job for health insurance. God has since provided this in a Starbucks job! ~I need to stay around the Chicagoland area right now for the support system I have in place in Drs, friends, and family. ~I have amazing Drs that speak both medical and biblical truth into my life. ~My friends and family have been such a huge blessing in my life! ~I am passionate about kids, literacy, and have a heart for the needy. ~I would like to live and work in a diverse, low-income community. ~I would like to work in an After-school program or privately tutor in reading. I have a possible part-time job opportunity with an outreach center in a diverse, low-income area working as an after-school teacher! ~I am passionate about literacy and how it pertains to unemployment, H.S. dropouts, and a non-English speaking population. I would like to get a Masters in Reading. ~I would like to coach/referee running or soccer. ~I would like to become injury free, so that I could join a soccer, ultimate frisbee, or softball team; enjoy a leisurely run; take dance lessons; run in road races without pain. ~I would like to take Bible Classes. ~I would like to take violin lessons in improv/fiddling. Have time to play music. Learn guitar. Take voice lessons. Songwrite. ~I would like to have time to read for pleasure and for personal enrichment. ~I would like to have time for friends, both new and old, and for family. ~I would like to volunteer to discover areas, jobs, missions, or ministries where I would like to serve. ~I want this year to be a year of discovery. To discover and renew my passions and see where they can take me. It's about health. It's about building a foundation for the future. It's about not overdoing it. It's about me. It's about others. It's about God. God take and use my gifts, my loves, my desires and use them for Your Kingdom. I know that you who began a good work in me will carry it through until the day of completion. Nothing will hinder Your will and the spread of Your gospel. Not ill health. Not pain. Not sorrow. Not injustice. Not people. Not ruling authorities. No nothing. Take, use, be. BETA narrative + Life and Love - but mostly life. "I love it when a plan comes together..."
"Am I willing to see this thing through?"